Hey all! I'm back to share another pocket page spread from my 6x12" album. 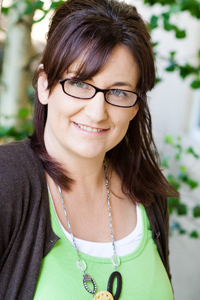 For this one, I dug into the "Tough" Story Kits from Ali Edwards. This was actually the first kit that I wanted to work with, and one that I knew exactly what I would use it for. Well, the first project I would use it for, since there's still plenty left for some other stories. Which is good, because I have quite a few stories that come to mind that will really fit this theme. I really went back and forth on my plan for this project, going from doing a pocket page spread, to maybe a one page layout, back to a pocket page spread, and so on. I knew I wanted to include a good amount of journaling, and I finally settled on doing a pocket page spread, with one side being a full 6x12" page. I used a 6x12" layered template from Ali Edwards (found HERE) to type up my journaling in. This made it SO much easier to know just how much space I had to journal in, rather than using Word and a text box (those 2 things and I do NOT get along). The template I used had space for a 4x6" photo on it, and I knew I would be adding a 4x6" card from the kit, so it worked perfectly. I knew that I wanted to use the "tough" acrylic word in one of the 4x6" pockets. I picked out one of the 4x6" cards, and adhered the word directly to it using some mini glue dots. I don't have a ton of photos of myself, but I do have this one that I took of myself at the beginning of the year. I was actually working on my tax stuff at the time, but the look on my face felt fitting for what my journaling was about. And turns out, it was taken right around the same time that so many things really started changing for me. I knew that I wanted to include this 3x4" card with the quote "she stood in the storm, and when the wind did not blow her way, she adjusted her sails". I'm not a big one for quotes (meaning I don't pay much attention to them sometimes), but oddly this fit my story. And it's exactly what I did. Adjusted my sails so to speak. My journaling took me way longer than I thought. I had a lot of words I would have loved to let spill out onto the page, just to get it off my heart (is that a saying, because it's what keeps coming to mind when I talk about it). I consider myself a pretty good writer. And while sometimes my writing can read more like ramblings, I think there are other times where my writing says everything I'm thinking, in a clear and concise way. I tried to sum up some of what I've gone thru this year (and leading up to this year, if I'm being honest), and the lessons I learned thru the experience. It's real. It's honest. I think I've always been very truthful in my writing and in how I interact with people, and I don't try to sugar coat anything, just to make others happy. It's what happened. It's what I've gone through. Basically, it is what it is (my life motto). After I printed out my journaling, and trimmed it to 6x12" in length, I adhered this 4x6" card to the bottom of the page. I had intentionally left room right above it to add a chipboard strip from the kit, and added one of the little plastic strips (which I totally thought was washi until I went to use it), adhering a few enamel dots to either end of the strip. In some ways, it felt very therapeutic to work on this spread. I needed to get some of these thoughts off my heart. Off my chest. However you want to put it, I just needed to get some words out of my head and onto the page. Sometimes, when things happen, when things change, you are able to get a sense of closure and turn the page, close the book, or whatever it is you need to do to move on and put it all behind you. Other times, there's absolutely no closure, nothing to make you understand why things happened the way they did. So it's a little harder to just move on and forget about it. That's where the "it is what it is" comes in, I suppose. I'm pretty sure I promised to be back to share another pocket page with you this week, but I decided to share a layout instead. 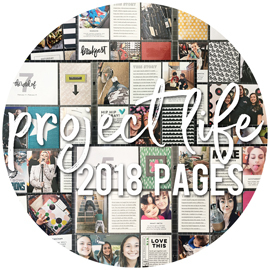 I'll save that pocket page I mentioned for next week ;) The layout I'm sharing today features some products from the "Drive" Story Kits from Ali Edwards. This wasn't one of the themes that stood out to me right away, as I was picking out a few kits to play with. But somewhere along the way, I thought of the idea of documenting teaching my girls to drive. I love that theme of each kit can be used in so many ways. I did a layout not too long ago about Sarah getting her driving license (seen HERE), but I thought it would be fun to do a page about both of the girls together. The first thing I did was dig up any photos I had taken of the girls in the car, while they were learning to drive. It was something that I would do occasionally when taking them out. Snap a photo of them, almost always at a stop light or parked (or even waiting on a train). I used a template from Kerri Bradford to collage these photos together and print them out. I had picked out a few of the 3x4" cards from the Story Kit that I knew I wanted to incorporate into the page design, and also a few circle embellishments. I used those as the starting points to picking out my patterned papers, looking for coordinating shades of green, aqua, brown, and yellow. This actually ended up being very easy to do, and only took me a few minutes. That never happens, but it did! I found a sheet of brown cardstock from Die Cuts With A View that matched that "you got this" card perfectly. And then added in some patterned papers from Amy Tan and Fancy Pants. I also knew that I wanted to use the acrylic "drive" word that came in the kit. I just love the acrylic words from these kits, and they're one of the main things that drew me to the kits to begin with. I paired it up with some brown alpha stickers from Jillibean Soup to complete my title. 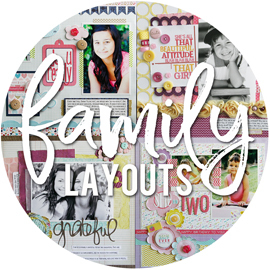 Since the top of my layout was going to be just the white cardstock, I used one of my favorite cut files from Kerri Bradford to die cut a circle background, also from white cardstock, to layer up there for a little texture and interest. I used a few of these transparent circle embellishments from the kit, and simply stapled them in place using my Tiny Attatcher. I often save my journaling for the end of my page design, but if I know I'm going to print out a large amount of journaling, or a longer block of journaling (like here), I will do it before I start the layout so that I make sure I have enough room for it. I wish my printers made it easier to print journaling that is 12" long (well, 11.5" if you consider the margins). I don't have a wide format printer, so I just trim my cardstock to 8.5x12" to print on. I know for a fact that my journaling lines were 11.5" long, yet they printed much shorter than that. And there was also more room on the right side than on the left. That stuff bugs me, but not enough for me to keep trying to get it to work right. I also included one photo of myself in the car. I had more photos of the girls, but they didn't quite match the other photos. In digging around for photos, I had also pulled out a bunch of myself I had taken, while running errands, driving kids around, etc, since I had another layout idea in mind at the same time. So I ended up pulling one of those photos and using it on this collage. I thought the little sidenote there was kind of funny! Hey all! I have finally gotten around to working on some new projects. I'm going back and forth between wanting to do the layouts I'm used to creating, and doing more pocket page type projects. So I'm doing a bit of both. Honestly, my creative mind is all over the place lately. It's actually doing more thinking and planning, than actually creating and making. But at least it's doing something! Something that I knew would be perfect for me right now is to finally start digging into my Story Kits from Ali Edwards. I had kept my eye on the Story Kits since the day they launched, but it wasn't until they had a big sale on past kits, late last year, that I finally decided to purchase a few of them. I then decided to subscribe to the kits for 2016, and have just been stock piling them when they show up each month. I just never seem to find the time to get to them, but I thought about them all the time (they sat out on my large island in the playroom in a cute basket). Well, now that I have very few scrapping commitments, I have the time to do some of the projects I never had time for in the past. The "Craft" kit was one of the first ones that I decided to play with. I love that you can get multiple projects out of each kit, and tell multiple stories. There's so many takes you can do with each theme, as far as what type of stories or moments you want to document. For my first project with the "Craft" kit, I knew I wanted to do the obvious idea of documenting a bit about my love of scrapbooking. I used a few of the cards that came in the kit, slipping them right into the pocket pages, and not really fussing with them at all. I had a different journaling card in that right pocket, but I knew that I didn't really want to hand journal. I know there's something to be said for including your own handwriting in your albums. But for me, I feel like my own handwriting doesn't really fit with my style. That sounds weird. But it's how I feel. Lol. So I used a journaling card from one of Ali's digital kits, and typed up my journaling in Photoshop. There was a word or phrase on this digital card, but I simply removed it and replaced it with the "passion", which was a digital stamp from the "Craft" digital stamps. Once I had all of my journaling cards typed up, I printed them out on a sheet of textured cardstock. I love the idea of keeping these layouts/pocket pages simple and clean, in what is really my true style. I added two chipboard pieces to this 4x6 photo and called it done. There were a few of these cute little wood words in the kit, and I picked out two of them to add to two different photos. The "click" and "story" (seen below) words went well with what I was journaling about. I used the same digital journaling card for these 3x3" pockets, but cropped them in Photoshop before I started typing in my journaling. The main part of the card - the journaling lines - weren't affected when trimming off an inch from the height of the card. 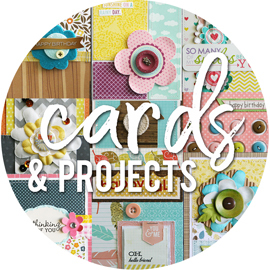 I added a little piece of washi tape from my stash to the top of each card. The "making stuff" card was a 3x4" card, but I trimmed it to make it a 3x3" card to fit in the pocket. I added a few number stickers for the year (found these itty bitty Basic Grey stickers in my stash, and I wish I had more of them, since they're so cute! ), and a little chipboard piece. When I went to find some photos for this pocket page spread, I had this photo in mind to represent "photos". I had shared this photo on Instagram late last year, and it was just a pile of little 2x2" photos that I had trimmed up after a big photo order. I loved all the itty bitty photos of my daycare kids piled up, and all of those little faces looking back at me! I had changed the photo of my camera to black and white (it had a few clashing colors in it), so I knew I wanted to have one more black and white photo on the spread. I originally had a different photo here, but had to change it, after I changed the photo on the first page. The albums in this photo are actually red, so the photo looks a little off in black and white. Oh well. You'll notice I'm doing a 6x12" album. This is a new size for me, but one that I've really been wanting to try out. I've been really loving the 9x12" albums, and am currently working in that size for my 2016 Project Life album and the sports albums I've been putting together for the girls (will share more on both of those soon). But every time I see 6x12" pocket pages while scrolling thru Instagram, I think "ohhhh, I just love that size". And I thought it would be the perfect size for me to use as I work thru these Story Kits. Hope you're all having a great Monday. I'll be back later this week to share another pocket page with you all! Hey all! 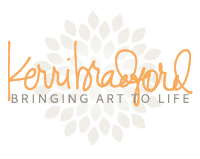 After a short little blogging break, I'm back with a few new projects to share. I was asked to guest design this month over on the Buttons Galore & More blog, and I jumped at the opportunity. Buttons are one of my absolute favorite embellishments! I have a massive button collection, and yet I can never pass up adding more colorful buttons to my stash. They just speak to me! I was able to pick out a selection of buttons to work with, and without really knowing what I would be creating, I choose fun shades of Sky Blue, Candy Apple Green, Cotton Candy, and Lemon Yellow. When I had the buttons in front of me, and started to think about what I would do with them, these photos I took of my cousin's baby girl were the first thing to pop into my head. That photo on the left is one of my favorites of her! 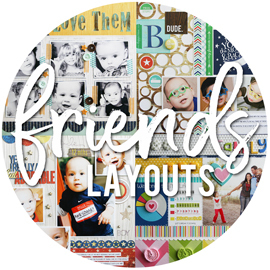 One of my favorite ways to incorporate buttons onto my projects is to add them to the centers of shapes. I tend to use a lot of flowers, circles, and stars on my layouts, and buttons are the perfect addition to any of those shapes. For this layout, I started by die cutting a floral background piece from white cardstock, using my Silhouette Cameo die cut machine. I love that it had lots and lots of flowers to embellish with my buttons! I wanted to add some subtle interest to some of the flowers on the background piece, and vellum came to mind. I was able to find an individual flower cut file that matched one of the flowers on the background piece. I sized the flower numerous times to match up with the flowers on the background piece, and then cut them all from a sheet of vellum. To add some texture, I ran each vellum flower thru a dotted embossing folder before layering them over the background flowers. Personally, I always thread my buttons when using them on layouts and cards. I don't like to have any "naked" buttons on my projects ;) My go-to way to adhere my buttons, is to thread my string through the button holes, and then laying the string ends flat against the button, I add a glue dot (or sometimes two if it's a larger button) right over the string. This holds the ends in place, and I can them simply adhere my button to where it needs to go. The exception to this rule, is when I'm working with clear buttons. I don't want those strings and glue dot to show through the clear button. So for those buttons, I will take the extra time to use a needle and stitch my button directly onto the page. I tend to be a more simpler scrapper, in that I keep my embellishments more on the simpler side. So I am always turning to buttons, as well as basics like brads and enamels. Oftentimes, they are all I need to finish off a project mostly made up of photos, cardstock, and patterned paper. I wanted to whip up a quick card to share with you as well, using the same idea of adding buttons to the center of flowers. This is actually a lift of a card I created for Bella Blvd years ago. I searched my blog high and low for the card, but I never did find it. So I may not have ever shared that one here. Anyways. This time I fussy cut some flowers from a sheet of patterned paper to create this easy birthday card. A fun, and super simple, way to add texture to paper flowers (whether die cuts or fussy cut from patterned paper), is to crumble them up really good. You can even lightly mist the paper with water to make it easier to work with. Then you simply un-crumble your flower, flattening it out as much or as little as you like. Add a threaded button to the center of each flower, and you've got the most adorable little flowers to add to your projects! 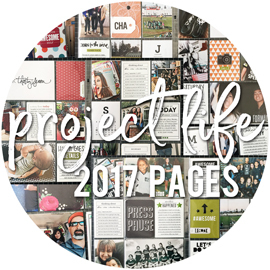 I had so much fun creating these projects, and I hope you enjoyed them too! Thanks Buttons Galore & More for the opportunity to guest design for you and create with your colorful buttons!